We also REALLY encourage you to see the Silver Linings Playbook if it is playing in your area! Arena Scenes Shot in IMAX?! Lionsgate Officially Debuts Catching Fire Logo!! 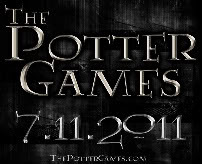 The Potter Games (Teefury edition)! Victory Tour 2013 Location and Dates! Victory Tour 2013 Convention Update!